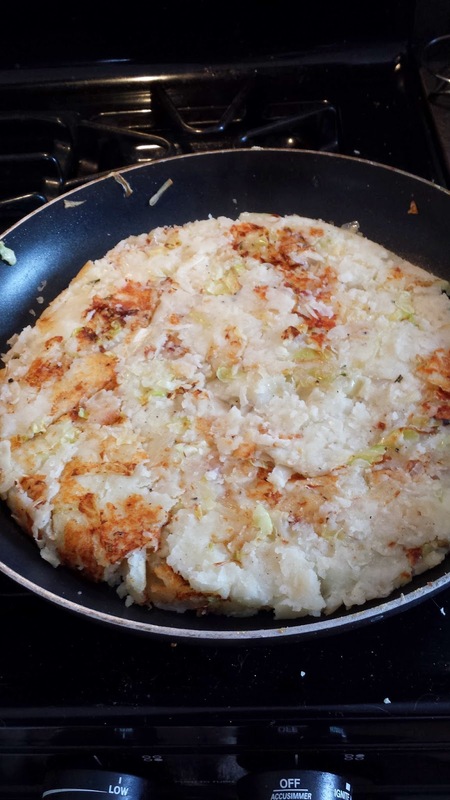 From Ireland to England, today I am sharing one of my favorite potato dishes, Bubble and Squeak. The dish is so named because it makes bubbling and squeaking sounds during the cooking process, which is fun to listen for. It's also a great use for left-over St Patrick's day food. In a large frying pan heat butter then add onion and cabbage (if not pre-cooked) until tender. Then add mashed potatoes. Fry until a nice golden brown. Then flip and let fry on the other side. This part is always the hardest for me. I end up with half flipped nice and the other half outside of the pan. I should try the flip on to a plate then back to the pan but I never think of that until after I make a mess. Finish this off with salt and pepper and enjoy.